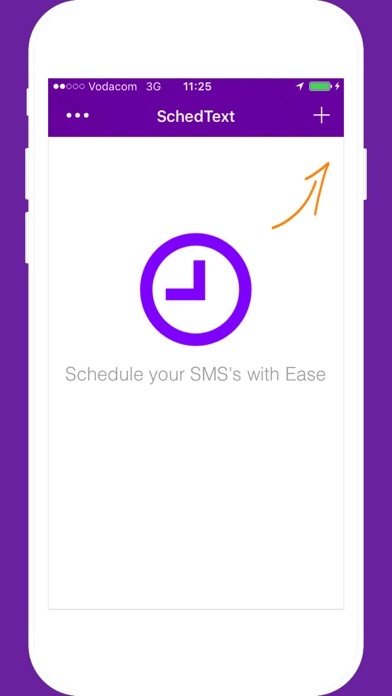 With SchedText you can easily schedule all your texts in advance, to ensure you send them at the right time and date. 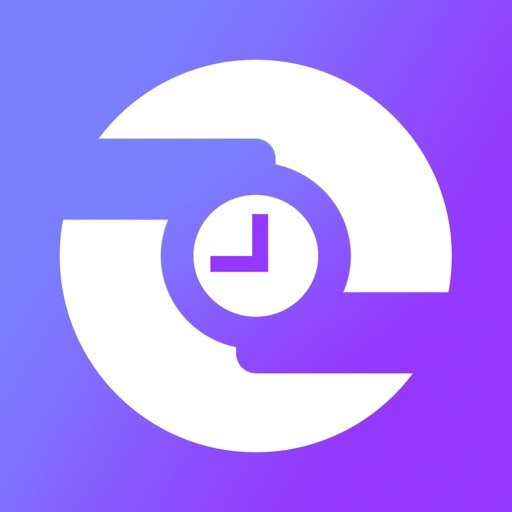 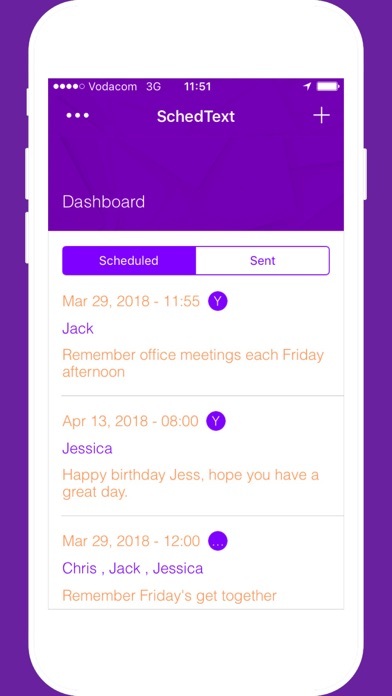 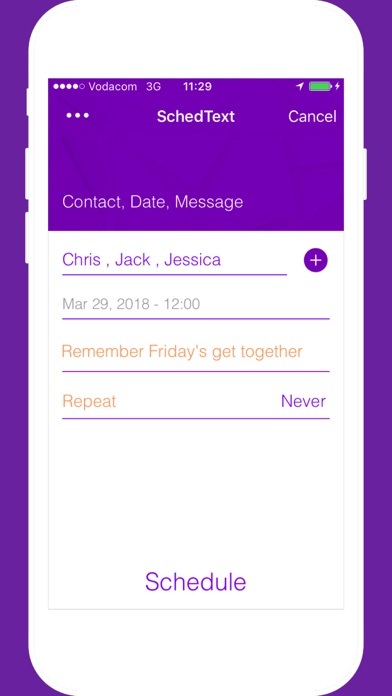 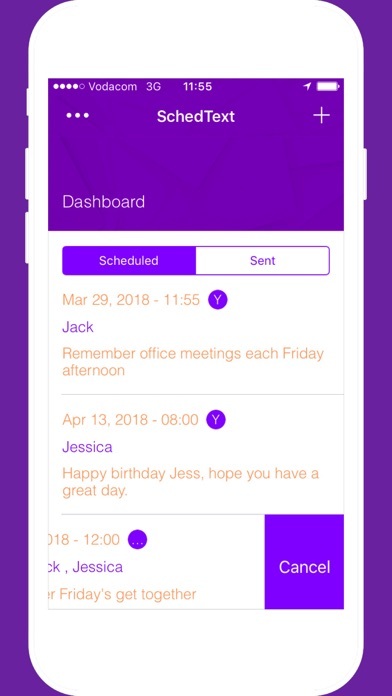 SchedText will schedule your text reminders so that you never forget to send any important texts again. 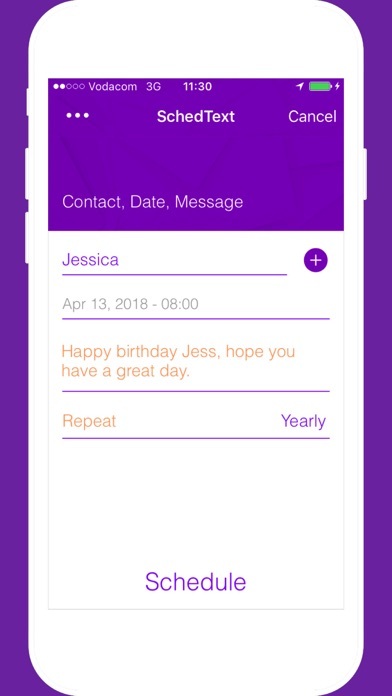 Open the SchedText app, write your message, select a recipient or multiple recipients, choose the date & time and there is nothing more to it! 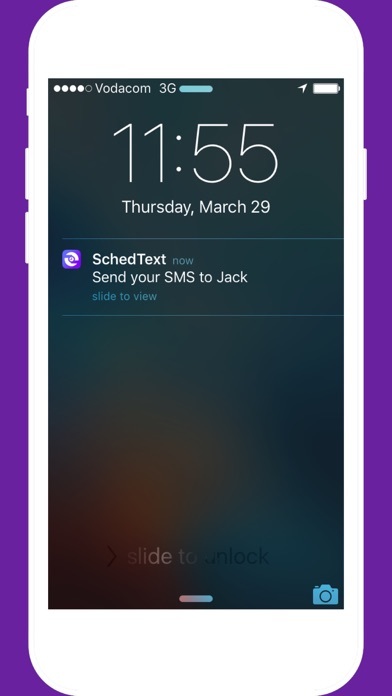 SchedText handles all your important texts, allowing you to keep up to date with your personal or business structure.